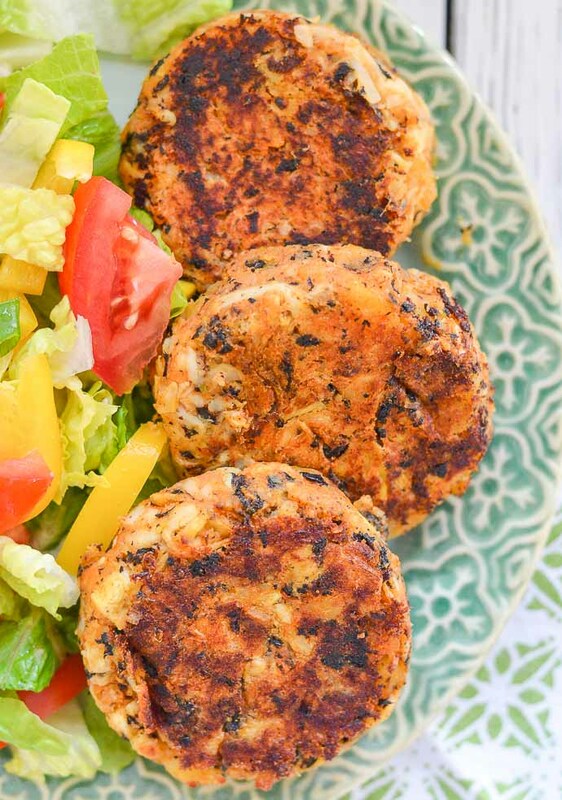 Leave the cute little crabs where they belong & make these Thai Style Vegan Crab Cakes instead. Tender, moist, packed with flavour & subtly ‘fishy’, they are so like the real deal! And they are really easy to make! These are such a big deal in my life right now. I haven’t felt this way since my Baked Vegan Mac and Cheese. 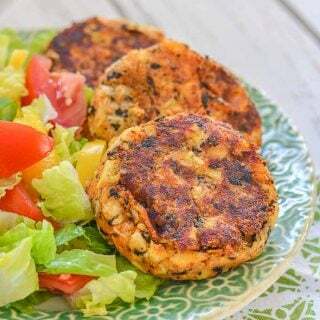 It’s the bomb and so are these Thai Style Vegan Crab Cakes. I have been making them non-stop over the past couple of weeks. They are just perfect. Perfect flavour, perfect texture and they look mighty fine too, in all of their crispy, golden gloriousness! ???? These Thai Style Vegan Crab Cakes are incredible. They are golden, tender, moist, flaky and absolutely full of flavour thanks to a combo of Thai Red Curry Paste, green onions, lime, tamari and ginger. If you aren’t big on spicy food, don’t be put off because there isn’t much Thai red curry paste in them and they aren’t really spicy. Having said that if you do like spice feel free to add more! WHAT GIVES THESE VEGAN CRAB CAKES THEIR SLIGHTLY FISHY TASTE? 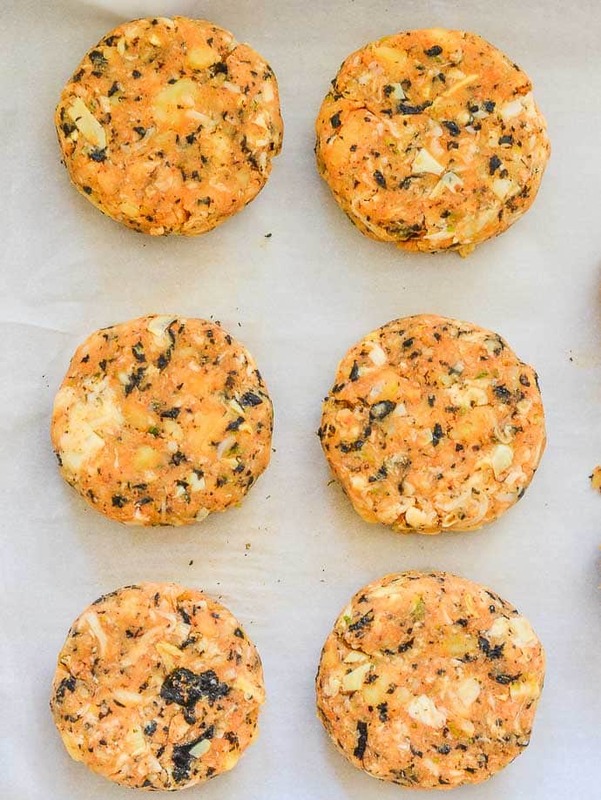 The addition of nori sheets is what makes these Vegan Crab Cakes taste ‘of the sea’ and slightly fishy. You know?… The stuff you use to roll sushi. You can pick it up in most stores now and it is perfect in this recipe. 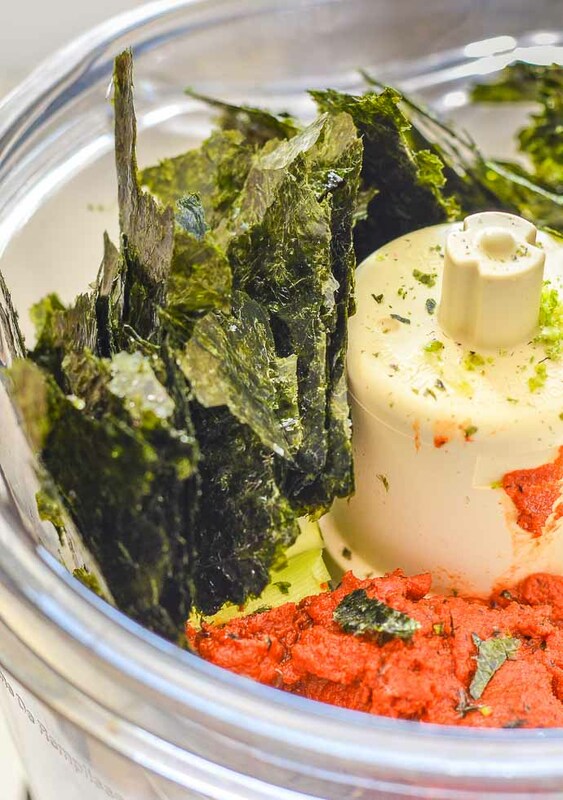 In addition to nori, you are going to need a new ingredient. (I’m assuming it’s new to you because it was to me until I stumbled upon it quite recently!) 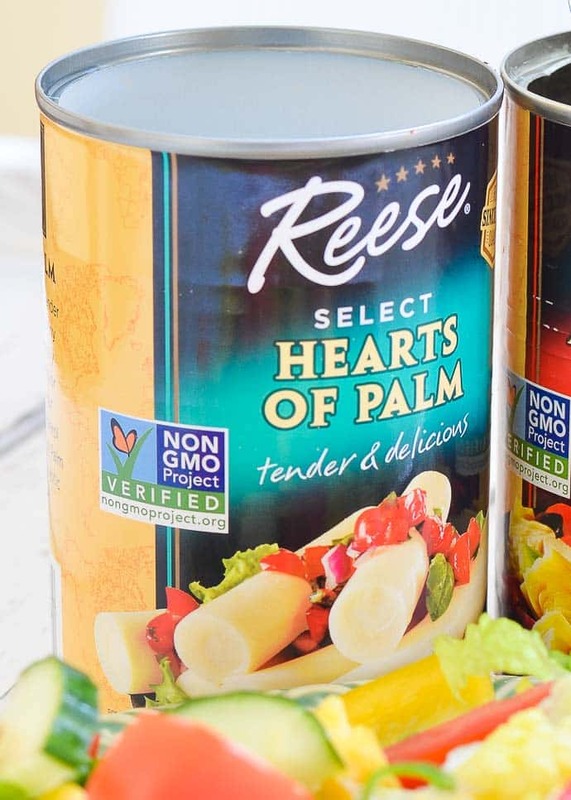 That ingredient is Hearts of Palm. 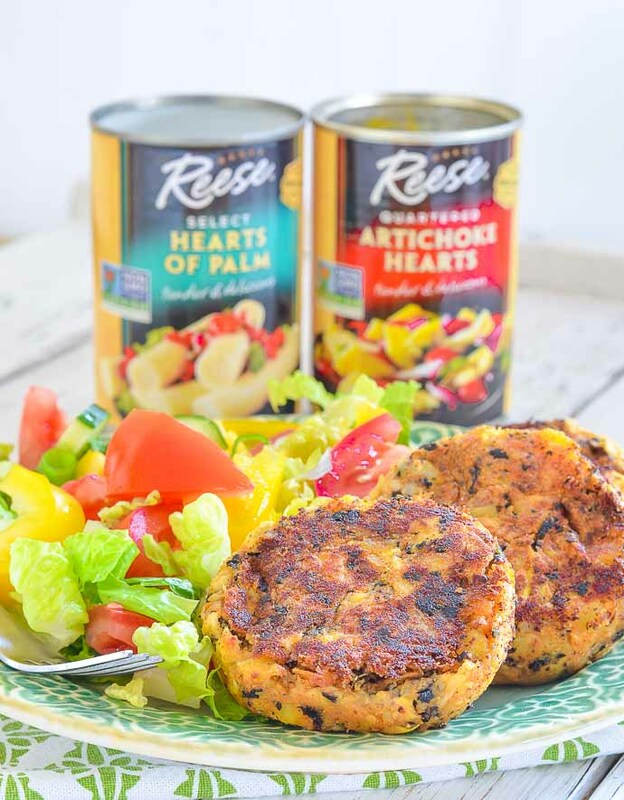 I used the Reese Speciality Foods brand in my Crab Cakes and they worked brilliantly. Hearts of Palm are not to be confused with palm oil. They are a totally different species of palm tree and are grown in different parts of the world entirely. They are a really tasty, versatile and nutritious ingredient. Rich in potassium, cholesterol free and a great source of plant powered protein. 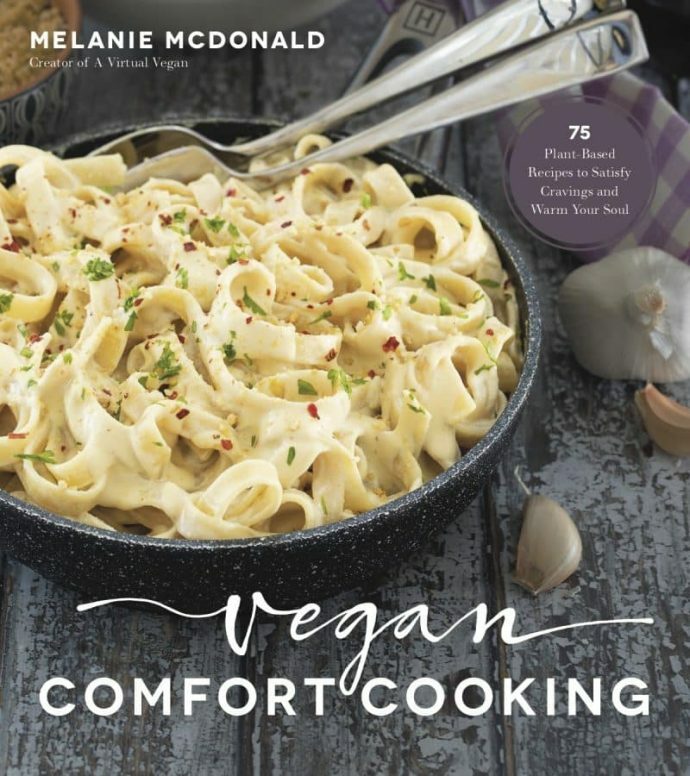 The perfect addition to your vegan recipes! You will find them in most grocery stores. They will be with the canned vegetables, usually pretty near the artichokes. Reese Speciality Foods have a handy store locator on their site so if you get stuck finding them give it a try. You can buy hearts of palm in all sorts of shapes and sizes. 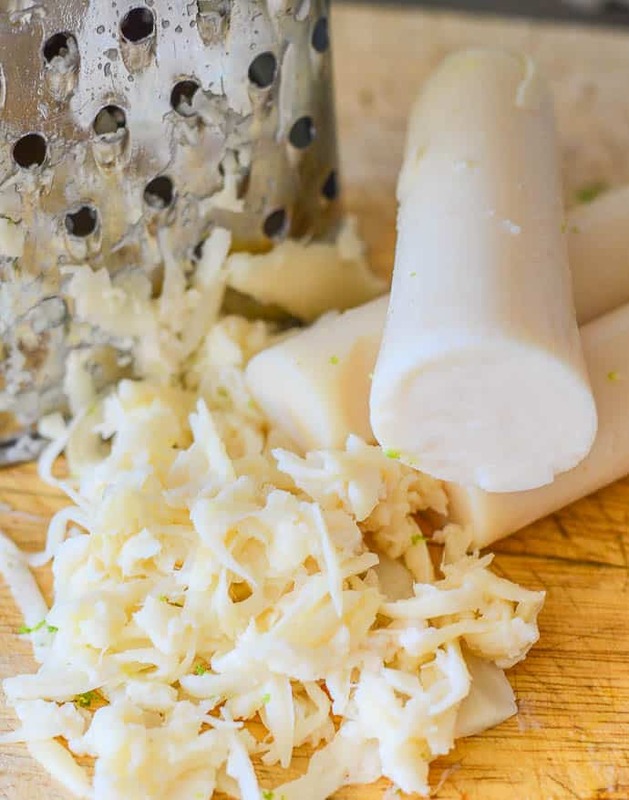 Medallions, sliced, pieces, but the long tubular sticks are better for this particular recipe because you need to shred or grate them. 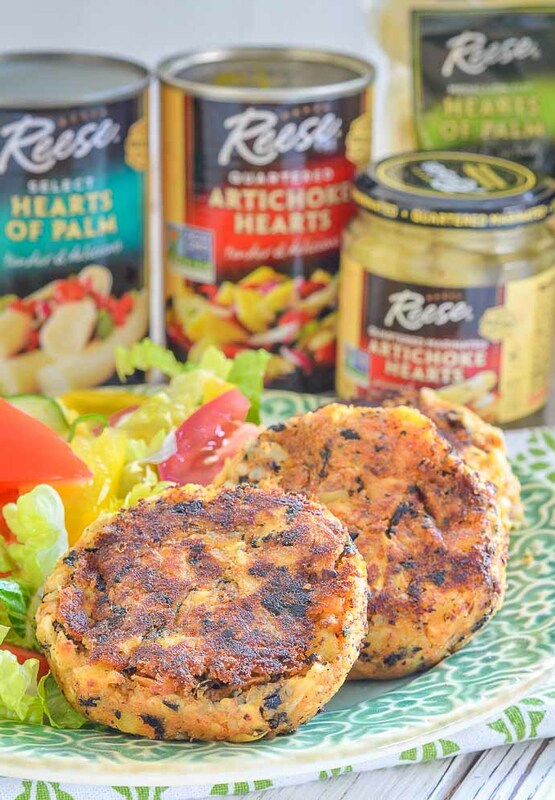 The shredded hearts of palm and some chopped canned artichoke hearts are what gives these vegan crab cakes their crab meaty texture. It really is so similar once it’s shredded up. In combination with the artichoke and the nori it is so hard to believe that there is no actual crab in these cakes! Just look at that inside shot! 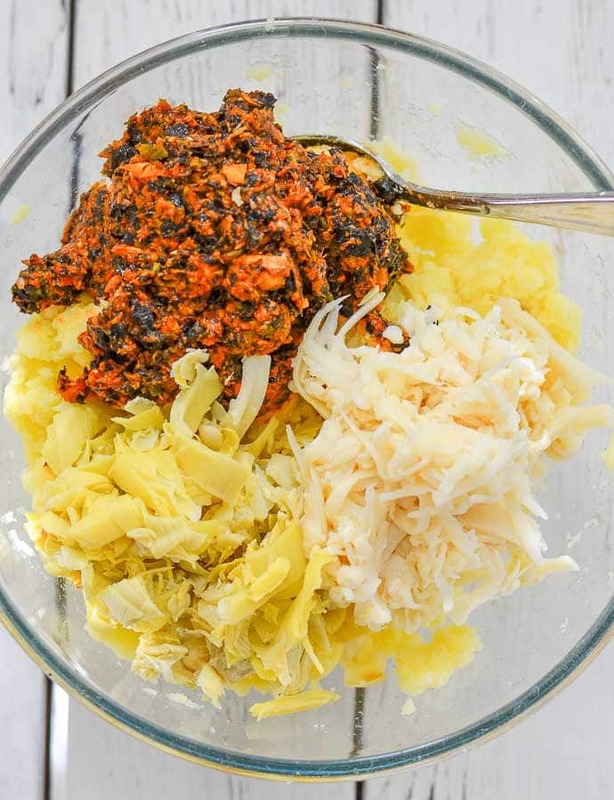 These vegan crab cakes are so simple to make. The base ingredient and glue to hold them all together is mashed potato. These Thai Style Vegan Crab Cakes really don’t take long at all to make. With just a few easy steps they are done and ready to cook. They will keep in their uncooked state for 3 to 4 days in the fridge and for the same time once cooked so are perfect for making in advance. They also reheat really well once cooked. I haven’t tried it because we always eat them too quickly, but I think they would probably freeze well. 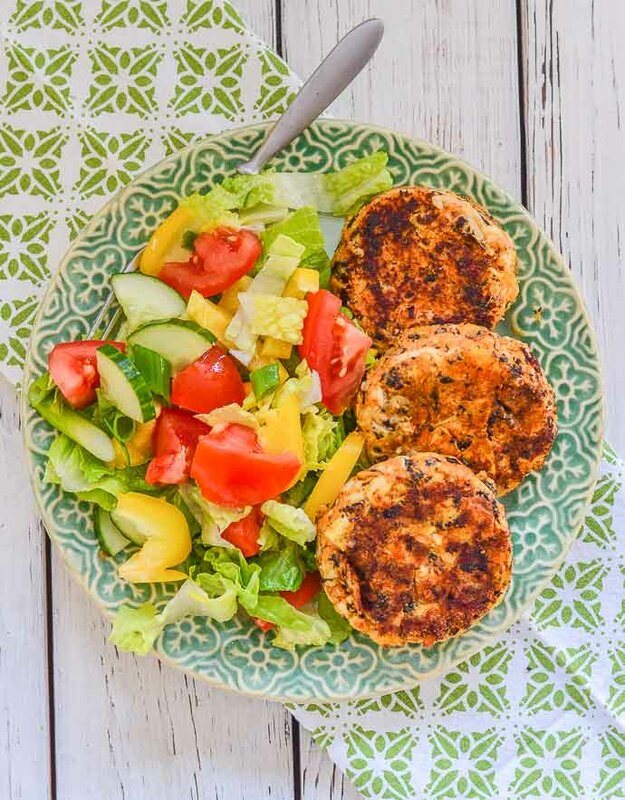 As it’s summer we have been enjoying these yummy Vegan Crab Cakes with lots of fresh and crisp salad for dinner. They are particularly good with my Tomato Chickpea Salad with Cilantro & Lime. 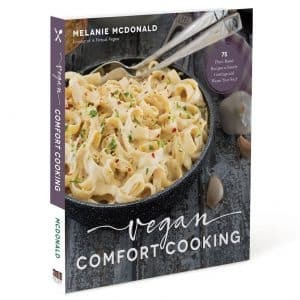 You could also serve them with home-made potato wedges, steamed new potatoes, polenta, grits, arugula, corn on the cob, potato salad, coleslaw or even in a bun as a veggie burger substitute. They would also be fab made into mini cakes and served with a sweet chili dipping sauce <double drool> either as an appetizer at a dinner party or as part of a buffet. However you serve them they will be awesome. SO awesome that I am about to make them again for dinner tonight. Told ya we can’t get enough! ???? You also need to make them now, like right now. The crabs and I will thank you..???? And you will thank me right after because they really are the bomb! Share your pics with me on Instagram. I’d love to see. Use the hashtag #avirtualvegan so I don’t miss them! You can rate the recipe and leave a comment below too! 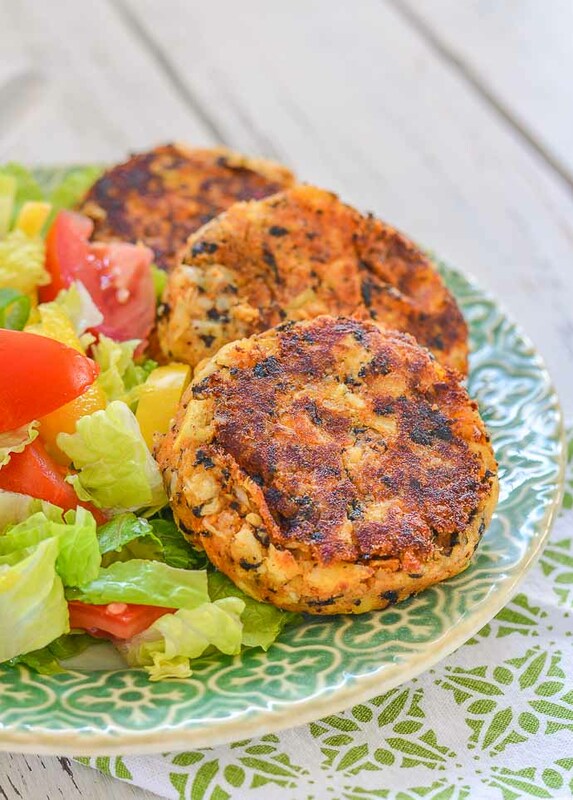 Leave the cute little crabs where they belong & make these Thai Style Vegan Crab Cakes instead. 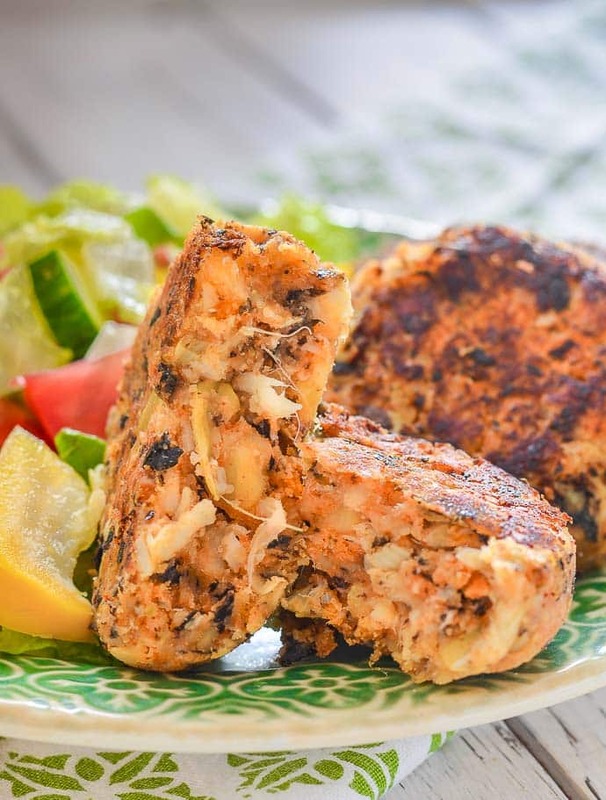 Tender, moist, packed with flavour & subtly 'fishy', they are so like the real deal! And they are really easy to make! Peel and cube the potatoes then add them to a pan. Cover with water and boil until fork tender and mashable but not too soft, then drain, mash and set aside. 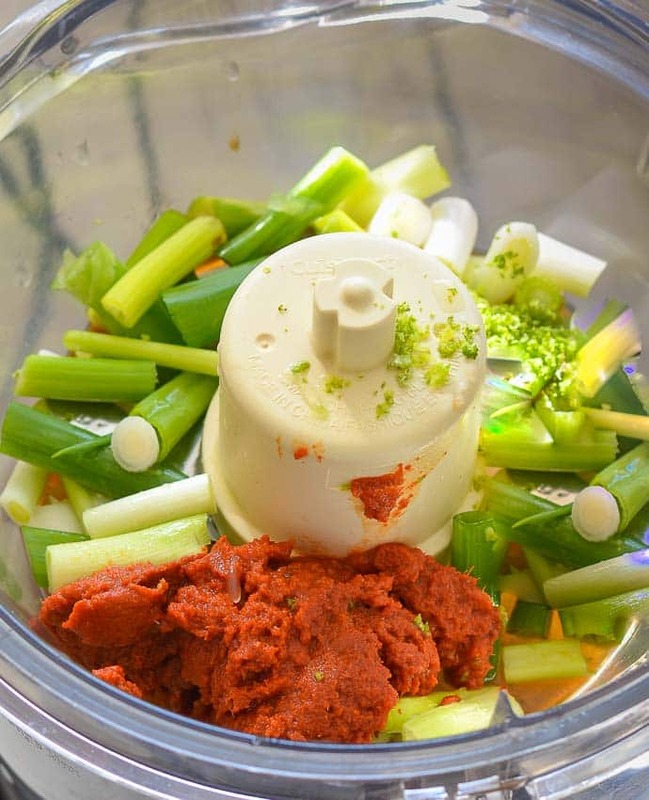 While the potatoes are boiling, add the green onions, lime juice, lime zest, ginger, tamari and curry paste to a food processor. 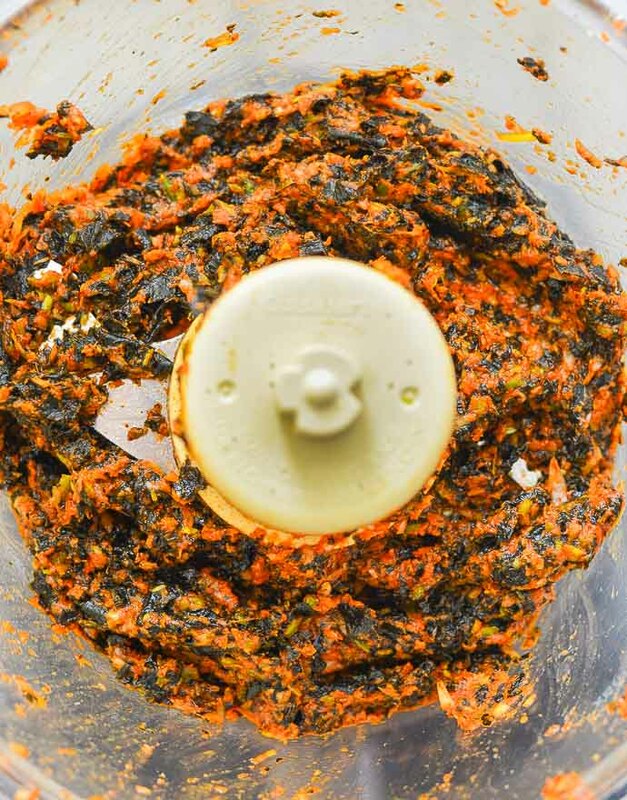 Break the nori sheets up into manageable pieces and put them in the food processor with the other ingredients. Process until it is a paste. The nori tends to stay a little chunkier than everything else and that is ok. Drain the hearts of palm really, really well, and either grate them, or shred them with a fork, then drain the artichokes and roughly chop. Be sure to drain them throughly and give the artichokes a little squeeze to get any residual liquid out of them. 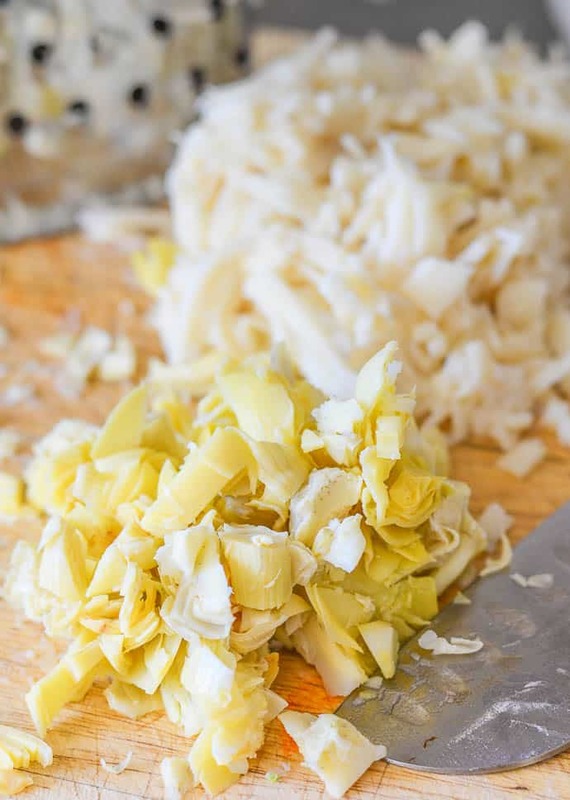 Once the potatoes have cooled enough to handle, add the paste and stir through really well so it's evenly distributed then add the shredded hearts of palm and the chopped artichoke and stir through gently. Form into patties and place them on a tray with some baking parchment as you go. To cook you can either pan-fry them, oven bake or cook them on a griddle. They are best pan-fried as they develop a lovely golden crust. Warm a couple tablespoons of oil in a pan over medium high heat. Once really hot add the crab cakes carefully. Leave them well alone for around 4 minutes to allow a thick, golden crust to develop then turn over and do the same on the other side. Remove from the pan and rest them on some kitchen paper to absorb excess oil. Your pan probably wont be big enough to cook them all at once so have the oven on low and pop the cooked ones in there to keep warm while you cook the rest. Warm your griddle to a medium high heat. When hot carefully place the crab cakes on the griddle and cook for 4-5 minutes each side. Place on a tray on lightly greased baking parchment and bake at 400°F for around 25 minutes. Turn over half way through. Once shaped into patties the crab cakes can be stored in the fridge for a few days before cooking. If you have leftovers they reheat really well in the oven. 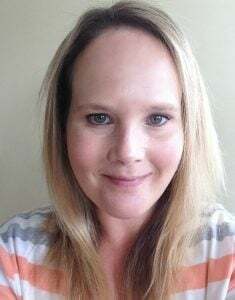 This post is sponsored by Reese Specialty Foods. Thank you for continuing to support the brands who help make this site possible.